This beautiful deep green gemstone was discovered in 1868 in Russia’s western mountains and has been named the Green Dragon in many cultures. Demantoids are generally green, but the exact shade ranges from a very strong yellowish green to nearly the colour of a fine emerald. Some stones have a brownish cast, which is due to iron. Many an early explorer and traveller liked to carry a garnet with him, for the garnet was popular as a talisman and protective stone, as it was believed to light up the night and protect its bearer from evil and disaster. 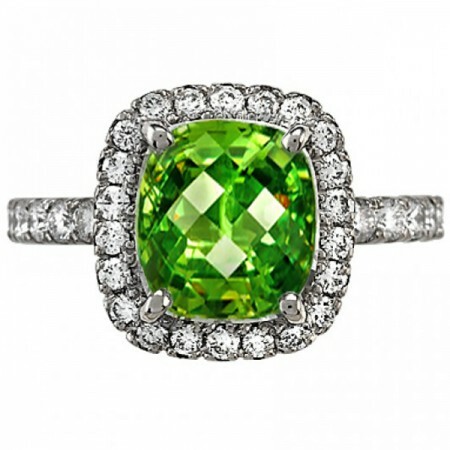 While garnets have been known since ancient times, the demantoid variety was not discovered until 1853 in Russia.